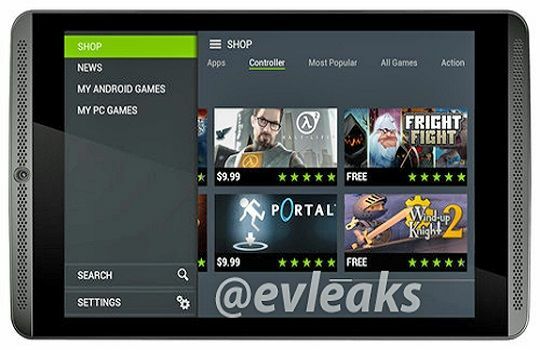 Images of Nvidia's upcoming Shield gaming tablet have been leaked on the Internet by @evleaks. 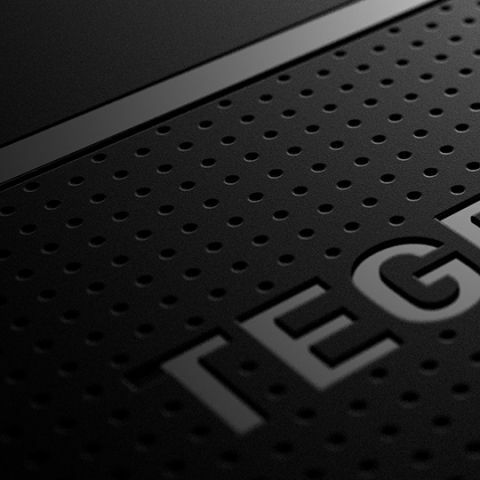 The tablet will be powered by the Tegra K1 SoC. The next-gen gaming tablet from Nvidia recently got certification from GCF and now leaked images from @evleaks have revealed the first frontal press shots of the device. Nvidia hinted that they will be bringing gaming to tablets and we might see that happening soon enough. The upcoming Shield tablet is rumored to have a 7.9 inch Full HD (or greater) display, 16 GB of storage and a Tegra K1 SoC. Based on the image we could say that Nvidia will follow its previous design philosophy and add a front facing camera to the front speaker grill itself. It is also rumored that the the tablet will be able to support a controller and Nvidia is making one itself, though we haven't seen any real images of the controller yet. With the Android gaming scene rekindled after Google I/O we may be on the verge of seeing new entrants in the Android gaming device market.